No matter which percentage/amount of carbs is right for you, it's key to choose options that are as nutrient-dense as possible (instead of ones that offer empty calories), offering fiber, antioxidants, vitamins and minerals. Here are the Top 16 Carbs that I recommend, as they are absorbed slowly (so don’t cause a spike in your blood sugar) and help with digestion and fat burning. These carbs, in adequate amounts* can actually help with your weight loss goals. Try including a serving of 1 carb at each meal, or minimum once a day (of which serving size can vary depending on your health goals, but I’ve included an approximate serving size as a guide). Quinoa (1 serving= ½ cup cooked). A true superfood, higher in protein than most grains (about twice as much protein as brown rice), high in fiber, healthy unsaturated fats, B-vitamins, and a comparatively small dose of carbohydrates—which helps insure a low impact on your blood sugar. Buckwheat (1 serving= ½ cup cooked). A gluten-free “grain” like quinoa, filled with magnesium and fiber, which helps prevent blood sugar spikes and hunger and helps maintain blood sugar control. It’s also known to help with fertility. Read more about why I love buckwheat HERE + some yummy recipes. Teff (1 serving= ½ cup cooked). This mild, nutty tiny whole grain is a complete protein that’s rich in vitamins and fiber, free of gluten, that provides significantly more calcium and iron than quinoa. Amaranth (1 serving= ½ cup cooked). Another superfood gluten-free “grain” like quinoa, teff and buckwheat, with even more anti-inflammatory monounsaturated fats than quinoa, more calcium and more magnesium. Millet (1 serving= ½ cup cooked). This tiny "grain" is gluten-free and packed with vitamins and minerals. It’s easy to digest, alkaline and helps provide serotonin to calm your mind and body. Sweet Potato (1 serving= about 1 cup cooked, cubed): Rich in fiber, antioxidants, vitamins A, B6, C, and D, and delicious! Sweet potatoes are mostly known for their high content of carotenoids (antioxidants) which help stabilize blood-sugar levels and lower insulin resistance. Butternut Squash (also Kabocha Squash, Acorn Squash, Spaghetti Squash & Pumpkin) (1 serving= about 1 cup cooked, cubed): These starchy veggies are filled with vitamin A, vitamin C and a ton of fiber, are delicious, versatile, and have less carbs/sugar than sweet potatoes. Wild Rice, Black and Brown Rice (1 serving= ½ cup cooked). These unrefined, naturally gluten-free grains are awesome for your health, blood sugar and waistline in small amounts. My favorite is wild rice which has the most protein and nutrients, and slightly less calories. (Exception to this is those with gut-issues, autoimmune disease, etc, who feel best grain-free; in which case opt for eating more sweet potato/squash and maybe small amounts of the grain-like seeds, #s 1-5). 9. Lentils (1 serving= ½ cup cooked). 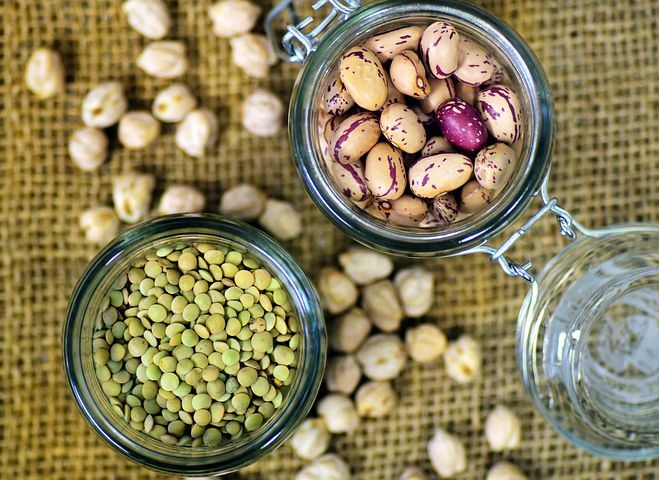 These small legumes are easier to digest than most beans, so very “gut-friendly”, filled with fiber, iron, magnesium and protein. Mung beans are a similar equally awesome digestion-friendly option. 10. Chickpeas (1 serving= ½ cup cooked, or ¼ cup hummus). Chickpeas, also called garbanzo beans, are filled with fiber, protein and a ton of nutrients. They’re delicious and one of my favorite ways to add protein to a salad or vegetarian dish. 11. Black Beans (1 serving= ½ cup cooked). One cup of black beans has 12 grams of protein and 9 grams of fiber; they’re also very rich in folate, a B vitamin that’s key for muscle growth and pregnancy, as well as copper. Other beans such as pinto and kidney beans are also great (all high in protein and fiber). 12. Oats (gluten-free) (1 serving= ¼ - ½ cup uncooked or about ¾ - 1 cup cooked). 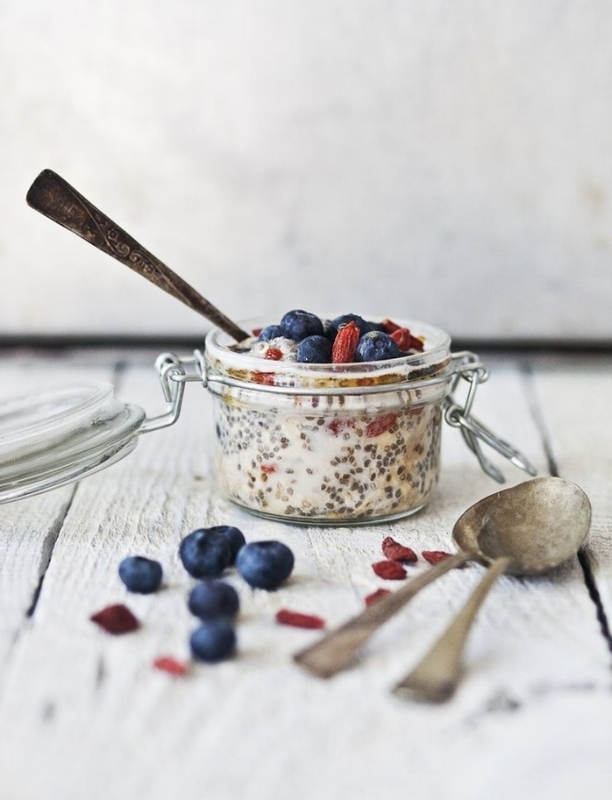 Oats are a great source of SOLUBLE fiber which is key for lowering cholesterol and risk of heart disease. They’re naturally gluten-free (but note, they may be laced with a bit of gluten when processed so make sure to choose gluten-free certified if gluten sensitive). If possible, opt for Steel-Cut (which are not rolled, so your body takes longer to digest them which means slower uptake of glucose and less impact on your blood sugar. Rolled oats (old-fashioned and instant) are still great and an easy way to get a lot of fiber, but avoid flavored versions… opt for plain, whole-grain oats, and make sure they’re labeled as gluten-free if you’re celiac. 13. Berries (1 serving= about ½ cup, fresh or frozen) (including blueberries, raspberries, blackberries and cranberries). These small fruits are loaded with antioxidants, and are relatively low in sugar yet delicious. I suggest eating as frequently as possible! *opt for fresh or frozen, not dried. 14. Tomatoes (1 serving= ½ cup fresh or cooked). This fruit-like-veggie is our best source of lycopene, which has been linked to many health benefits, including lower risk of heart disease and cancer. They are also a great source of vitamin C, potassium, folate and vitamin K.
15. Apples (1 serving= 1 medium fruit). Very rich in fiber that helps slow down absorption of sugar, and aid in weight loss. Pears & Guavas fall into similar camp. While green apples (as well as pears and guavas) are lower in sugar, the red varieties such as pink lady apples tend to be higher in antioxidant flavonoids. 16. Sprouted-Grain Bread (1 serving= 1 slice). This nutrient-dense bread is loaded with good-for-you sprouted grains, legumes and seeds, and as the grains are sprouted, the bread is easier to digest, plus it increases the bioavailability of the vitamins and minerals you consume. Even when they contain gluten, I find that many gluten-sensitive people feel fine with sprouted-grain breads. Carbs 1-5 are all like grains, but are actually seeds, often called “pseudo-grains” and tend to be easier to digest than actual grains. Always check with your health practitioner to see which carbs and what serving sizes work best for YOUR body, to help you reach your health goals. Contact me here to learn more about how I can assist you. Remember, carbs are NOT the enemy, and almost everyone benefits from including small amounts of healthy carbs like these into their daily diet. What are your favorite carbs? Please comment and share!